In this paper we prove that the nonzero elements of a finite field with odd characteristic can be partitioned into pairs with prescribed difference (maybe, with some alternatives) in each pair. 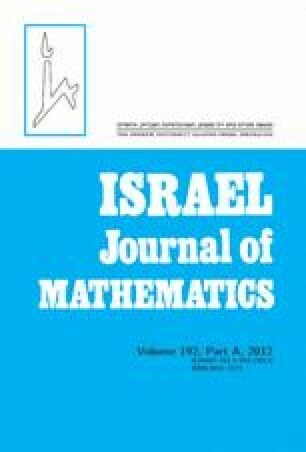 The algebraic and topological approaches to such problems are considered. We also give some generalizations of these results to packing translates in a finite or infinite field, and give a short proof of a particular case of the Eliahou-Kervaire-Plaigne theorem about sum-sets. The research of R. N. Karasev is supported by the Dynasty Foundation, the President’s of Russian Federation grant MK-113.2010.1, the Russian Foundation for Basic Research grants 10-01-00096 and 10-01-00139, the Federal Program “Scientific and scientific-pedagogical staff of innovative Russia” 2009-2013 and grant of the Russian Federation government 11.G34.31.0053. The research of F. V. Petrov is supported by the Russian Foundation for Basic Research grant 08-01-00379. D. Kohen and I. Sadofschi, A new approach on the seating couples problem, http://arxiv.org/abs/1006.2571, 2010.